Thanks Ash for the best pics ever!!! You are too good! NEW YORK – Exxon Mobil Corp.'s third-quarter income jumped 55 percent thanks to higher oil prices and increased production. The world's largest publicly traded oil company on Thursday reported earnings of $7.35 billion, or $1.44 per share. That compares with $4.73 billion, or 98 cents per share, in the year-ago period. Revenue increased 15.8 percent to $95.3 billion. Oil companies have seen profits jump as crude prices increased 12 percent year-over-year, and prices should continue to rise. The International Energy Agency forecasts that world oil consumption will grow next year to 88.2 million barrels a day. Earlier Thursday. Royal Dutch Shell PLC said quarterly profits climbed by 6.5 percent to $3.46 billion with higher oil prices mitigating charges in its refining business. ConocoPhillips reported Wednesday that its income more than doubled for the third straight quarter, earning $3.06 billion for the July-September period. Selling crude for more money has helped offset unexpected drilling expenses and a drop in Gulf of Mexico production that some companies are starting to see following BP's giant oil spill earlier this year. The U.S. shut down deepwater exploration for several months after the April explosion on the Deepwater Horizon rig, and regulators set tough new rules that nearly halted drilling activity in the Gulf. David Rosenthal, Exxon Mobil vice president of investor relations, said the company continues to review the new regulations, though it plans to move forward with a project in the Gulf. "We plan to submit in the near term our next permit application to get that drill under way," Rosenthal told analysts in a conference call. In July, Exxon took the lead in organizing a $1 billion containment network that will eventually be used to respond to future spills in the Gulf. Exxon, based in Irving, Texas, posted higher profits for most of its businesses; including oil production and exploration, refining and U.S. chemicals. It also cranked up oil production year-over-year, and its refineries made more fuel. The company continued to plow billions of dollars into expanding production and exploration, increasing spending 55 percent to $7.6 billion in the third quarter. The acquisition of XTO Energy helped Exxon increase natural-gas production by 50 percent year-over-year. Higher natural gas prices boosted profits in the third quarter, but prices have slid recently, and oil executives are concerned about more price declines. The U.S. already has a hefty surplus, and consumption isn't expected to increase much next year, according to the Energy Information Administration. 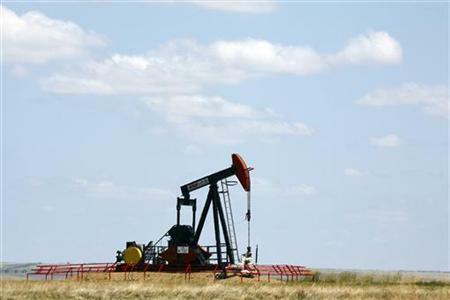 The EIA said Thursday that natural gas reserves continued to grow and are 9.1 percent above the five-year average. While companies like ConocoPhillips have said they plan to idle some natural gas wells and wait for prices to bounce back, Exxon said it hasn't changed its plans. The XTO acquisition earlier this year made Exxon the largest natural gas company in the U.S. with rights to numerous underground shale deposits. Argus Research analyst Phil Weiss said it costs less to drill for natural gas in shale than elsewhere, so Exxon can still turn a profit from its wells, although it might be a small one. Exxon's profit was less than the $7.56 billion it earned in the second quarter as it paid higher corporate and financing costs and its chemicals business posted lower profits. Two years ago, Exxon set the all-time record for profits by a U.S. corporation with $14.8 billion in the third quarter of 2008. Exxon shares rose 62 cents to $66.29 in afternoon trading. TOWANDA, Pa. — In the hills of northwest Pennsylvania, the boom in natural gas production turned mechanic Chris Sutton into a millionaire practically overnight. Sutton recently leased his 154 acres of land on the Marcellus Shale to Talisman Energy for a $900,000 up front check, plus a 20% cut of the revenue of the natural gas extracted from his land. A half hour away it's a very different story. Truman Burnett's retirement home is ruined: His pond is contaminated by a drilling accident on land owned by a neighbor and his well water is undrinkable. Burnett doesn't blame the neighbor for the mishap, but the fortunes of Burnett and Sutton illustrate just how dramatically the shale gas phenomenon is dividing Pennsylvania. Some are getting very rich, while others see nothing but problems. Nearly everyone appreciates the economic benefits derived from the development of the cleaner, domestic energy source in the Marcellus, which stretches under Pennsylvania, West Virginia, New York and Ohio. But as shale gas production takes off in the Northeast and in other shale formations across the country, people should pay attention to Pennsylvania. Here, debate about the speed of development, the influx of out-of-state workers, the safety of the drinking water, and the changing character of the area is dividing this state's rural communities. Towanda, a town of some 3,000 people about 60 miles northwest of Scranton, is in the midst of a full-on energy boom. Hotel rooms are impossible to get — one hotel was booked through December. Rents on two-bedroom apartments have gone from $400 to $1,500 a month. The downtown is jammed with traffic, much of it tractor trailers loaded down with drilling materials and equipment. One resident counted over 100 passing his house in an hour. "We're being invaded," Jim Stuart, a longtime Towanda resident, said from the counter of a downtown diner. "And I don't deal well with things being shoved down my throat." The invaders, mostly workers from Texas and Oklahoma, are here for the vast deposits of natural gas. It's been long known that gas exists in this part of Pennsylvania, but extracting it was too costly. But a few years ago, shale gas became economical. The reason: Higher gas prices and advances in drilling and hydraulic fracturing. Known as fracking, hydraulic fracturing is a process that involves breaking the shale with vast amounts of pressurized water, sand and chemicals. It's being described as one of the biggest developments in energy in a long time. It was pioneered in Texas, then Louisiana and Arkansas. Now it's in Pennsylvania. "It's been the opportunity of a lifetime," said Jodi Edger, who runs a construction and excavating company that builds the well pads and services the rigs. "If it wasn't for the oil and gas industry, there wouldn't be a whole lot up here." Edger has doubled the size of his staff in the last year or so, going from 50 employees to over 100. Laborers get $14 an hour, and backhoe and bulldozer operators earn $18 or more. Everyone has full benefits and gets overtime, which adds up fast. He says his people are putting in 60 and 80 hour weeks. "You hear the doom and gloom about what's happening with the economy on the national news, and then you see what's happening up here," he said. "I can't even find a truck driver." On the other side of town, Joe Snell sells welding gas and equipment to contractors working the rigs. Snell said his sales exploded from about $10,000 a month last fall to over $50,000 a month now. Lunching with three of his customers at a local diner, it was all jokes. "Working up here, we found out the difference between northerners and southerners," said one of the welders. "Down there we're rednecks, up here they're hillbillies." Everyone laughed. For Brianna Morales, proprietor of the BriMarie Inn a half hour north of Towanda in the town of Sayre, the influx of workers has meant more business and the opportunity to meet new people. "It's neat to learn some of the south's traditions, and the food they like," she said. But the mood isn't always so light. A few months back, there was a 15-person brawl outside a Towanda bar, supposedly over a girl. Such incidents are getting more common, said Mike Holt, owner of the Red Rose diner, who witnessed the rumble. "These guys come up here, with their southern accents, all 'yes m'am, no m'am,' flashing lots of money, and the women are impressed," said Holt. "The local men feel intimidated." At a bar in Sayre, one roughneck from Louisiana was seen carrying on with the local women, drinking, and pulling out a wad of bills. After he left, one patron was overheard talking about the greed in town, and the damage this drilling may be causing the environment. The traffic may be the most visible and most complained about thing in this region. But it's likely temporary — after the wells are drilled it'll be gone. The longer lasting and more concerning issue is the impact this drilling is having on the water. Much attention has been paid to the fracking process, and the federal Environmental Protection Agency is studying its safety. But environmental officials in Pennsylvania, backed up by national environmental groups, say the focus on fracking, which happens thousands of feet below the water table under a mile or more of rock, is a bit misplaced. "It's important to be clear about where the problems have been," said Pennsylvania Department of Environmental Protection Secretary John Hanger. "We have not had a single case of these [fracking] fluids coming back to the groundwater." The problems have occurred near the surface. Fracking fluid has been spilled before being sent down the well. The steel casing that lines the well holes has also failed, allowing natural gas and other chemicals to penetrate the drinking water. That's led to the much-publicized cases of people being able to light their taps on fire. To remedy this, environmentalists and others are proposing a series of more stringent regulations, including tougher well casings, drilling farther from from water sources and people's homes, better treatment of the fracking fluid before it's discharged into the environment, seismic imaging of an area before it's drilled, and federal oversight of the whole process. "I don't mind them extracting the gas, but take it at a slower pace, explore what's necessary to protect the quality of life," said Carol French, a landowner near Townada. French has sold a lease to drill on her land, but is hoping it expires before gas production starts on her property. She said she'd sign again with better terms, but she just wants to make sure it's done right, "because I can't drink money." Environmentalists give Pennsylvania credit for recently passing some additional regulations. Still, they they don't believe the regulations go far enough. Outside analysts say additional regulations, particularly on water issues, will make gas production more expensive, but that the resource can still be developed economically. "You're not going to kill the shale boom on the basis of these costs," said Robert Ineson, senior director for global gas at the consultancy IHS Cambridge Energy Research Associates. Additional regulations are "warranted, likely and affordable," he said, although he cautioned not to take them too far. The industry is skeptical of such measures. The American Petroleum Institute pointed to a report showing that increased water regulations and federal oversight could slow development of this resource by about 20%. But that, it seems, is exactly what many in Towanda want. Thanks Ash for the new tanker pics! It's amazing what crude oil does to me! export programme planned for December. onshore oilfields recover from years of political violence. produce a part-cargo for export, they said. out, particularly for heavier grades. barrels, and seven 950,000-barrel cargoes of Akpo condensate. Iboe and most other lighter grades, traders said. of dated Brent plus 40 cents. were heard done to confirm this level. were said to be 20-30 cents lower. indicating that cargo at around dated Brent plus 30 cents. closer to dated minus $2.60. was said to have been sold at around dated Brent minus $2.50. valid until two days later, traders said. remain valid until Oct. 27. Iran is soon to be the president of opec again. And the implications could be enormous. An international oil dispute is virtually sure to erupt, says one Russian analyst. It is only a matter of how soon. But this time, he says, it is not America’s fight—it is Europe’s. On October 14, Iran was elected president of the Organization of the Petroleum Exporting Countries—and that says a lot about how the world is changing. America’s global clout and influence is clearly on the wane. And not just because opec—a grouping of nations that includes many anti-American states—elected perhaps the biggest anti-American state to its presidency. But because, as rtt News said, it did so “unanimously”! How’s that for friends? America liberates Kuwait from Saddam Hussein, it props up the Iraqi government, it sells Saudi Arabia $60 billion worth of upgraded F-15 fighters—and in return gets a diplomatic slap in the face. Don’t forget that America is working overtime to try to build a coalition to enforce sanctions on Iran for continuing to pursue nuclear weapons. Can’t be working so well when even America’s so-called allies don’t seem to be on board. Making the slap sting all the more is the fact that Iran’s Oil Minister Seyed Masoud Mirkazemi will hold the opec presidency. Merkazemi is a senior-level commander within the Iranian Revolutionary Guard Corps—a group considered a terrorist organization by the State Department. So opec is now chaired by not only a terrorist-sponsoring nation, but by an actual terrorist. It is clear the Arabs dread offending Iran a lot more than they do America. 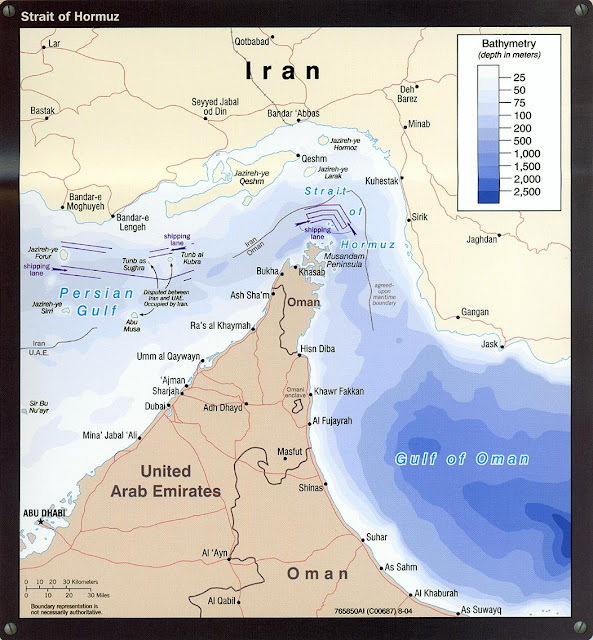 Fear of Iran is infecting the Persian Gulf. And the Arabs should be afraid. America has broadly advertised that it will be pulling out of Iraq and Afghanistan soon, never to return. The Arabs will be left to deal with (read submit to) Iran. Iran is acutely aware that America is a broken superpower. Although most took his words as a threat toward Israel, it was also a message to America—and to Iran’s opec subordinates. The message was: We are the regional power you really need to fear. No matter how much America promises, at the end of the day, it is going home. You had better deal with us. With the Iranian-aligned Muslim Brotherhood poised to seize power in Egypt, with Turkey developing closer ties to Iran, and with America cooling its relationship with Israel, it is no wonder opec is snapping into line with the king of the Middle East. But what exactly is Iran’s agenda? Is it $100-per-barrel oil? $150? Is it to use opec as a podium to vocalize its anti-West rhetoric? Or does it go beyond that? Iran will certainly work to increase oil prices, says Russian Center for Public Policy Research director Vladimir Yevseyev. In this regard, it will probably have some success, he says, but Iran has a far bigger battle lined up. According to Yevseyev, the real war Iran is gearing up for is against Europe. As head of opec, Iran will leverage its position to counter the policy of the European Union, which has been complicating Iranian oil sales. “I do not believe that it will be effective, but Iran must take such attempts,” he says. Europe has recently begun taking further steps to restrict trade and foreign investment in Iran due to Iran’s pursuit of nuclear weaponry. On September 30, four of Europe’s largest oil companies (Total, Shell, Statoil and Eni) announced they had committed to stopping business with Iran. The situation is getting touchy. Iran has now given ultimatums to other European oil firms. Either commit to business in Iran or prepare to have your assets seized. Iran has other weapons too. Europe depends on imports for the vast majority of its oil. Germany, the Netherlands, France and Italy import almost 100 percent of their oil. Nearly half of Europe’s imported oil comes from the Middle East. And most of that comes through the Persian Gulf—which is half Iranian coastal waters. “Security of energy without Iran has no meaning,” opec’s new president warned on October 14. The international community and Europe in general should take close note, he said. It wouldn’t take much to send the cost of crude oil soaring. Global estimates suggest that due to depletion, over the next 5 to 10 years the Middle East is going to become the world’s most valuable source of oil. Iran is predicted to be one of the few countries with excess oil supplies. “Europe looks at Iran’s presidency of opec as a problem with which it will fight, but not as the possibility of rapprochement with Iran,” he said (emphasis mine). Yevseyev is right. Rapprochement with Iran will not occur. The Middle East has the oil. Europe needs it. Iran wants to use it as a tool to push Europe. Europe wants to stop Iran from getting the bomb. America just wants out. Both Iran and Europe want in. The rest of opec balances on nitroglycerine—not wanting to offend Iran, and enjoying higher oil prices—but also looking on with apprehension at a withdrawing America and with interest at emerging European aggressiveness. In an oil-constrained world, Iran believes its position is impregnable. As opec’s second-largest producer, it has the oil, and it is now leveraging its position within opec to push its agenda and try to attain nuclear capability. Yet a nuclear-armed dominant Iran is not something Europe wants to live with either. This is not a recipe for peace in the Middle East. Tensions are escalating even faster than the price of oil, if that is possible. The political bloc led by former Iraqi Prime Minister Ayad Allawi said today that oil and natural-gas development contracts awarded by the outgoing government of Nuri al-Maliki are illegal and may be canceled. The actions are also “considered illegal in light of the current constitutional and political vacuum engulfing the country, which exposes the oil ministry and all parties concerned to legal questioning and which may also lead to the cancellation of these contracts,” the bloc called Al-Iraqiyah said in an e-mailed statement. Parliamentary elections in Iraq on March 7 produced no clear winner, and political parties, including the rival blocs led by Allawi and Maliki, have been struggling since then to form a government. Maliki’s outgoing government has said repeatedly that signed hydrocarbon contracts would not be cancelled. Kuwait Energy Co., Turkiye Petrolleri AO and KazMunaiGaz National Co. of Kazakhstan secured rights to develop three Iraqi natural-gas fields, at an auction on Oct. 20. The Akkas, Mansouriya and Siba gas fields together hold 11 trillion cubic feet of fuel. Last week’s gas licensing round was the third for hydrocarbon development contracts since the U.S.-led invasion that toppled President Saddam Hussein in 2003. Iraq won pledges from oil producers including Exxon Mobil Corp. and OAO Lukoil to boost the country’s total crude output to 12 million barrels a day after two licensing rounds last year. Iraq relies on oil for most of its income and is seeking foreign investors in other parts of the economy after years of conflict and sanctions. The Federal Government is to increase exports of Nigeria's benchmark crude oil grade, the Qua Iboe, in December by selling 13 cargoes up from the 11 scheduled to load in November in a bid to shore up the country's sagging economy. The move to raise Nigeria's crude oil export came just as former BP Plc's Chief Executive Officer, Mr. John Browne's Riverstone Management Limited, is leading a group of bidders for $4 billion worth of Nigerian oil fields being offered for sale by Royal Dutch Shell Plc. Trade sources hinted last weekend that all 13 of the December stems would be full cargoes of 950,000 barrels each, bringing Qua Iboe exports to their highest level since March. Reuters reported that the development would bring the average exports of the grade in December up to almost 400,000 barrels per day (bpd), compared with just below 350,000 bpd in November. Qua Iboe output was reduced for three months due to a pipeline leak, which led ExxonMobil to declare a force majeure on exports last May. 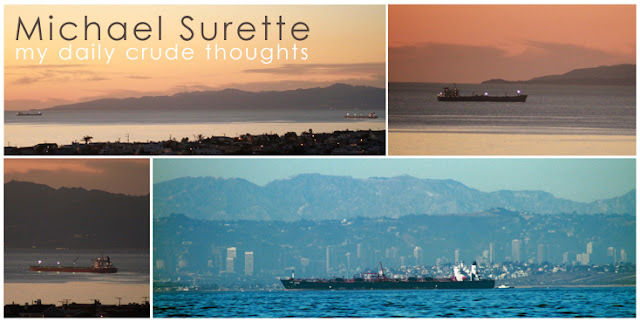 The force majeure was lifted in August but some cargoes have continued to be delayed, traders and shipping sources said. Qua Iboe exports were expected to average around 398,000 barrels per day (bpd) in October, up from around 363,000 bpd planned for September, loading programmes had shown. Output schedules for two of Nigeria's other crude streams also emerged in September with Bonga exports due to rise to 189,000 bpd in October, up from the 158,000 bpd due in September. Forcados output was due to average 197,000 bpd this month, largely steady from the previous month. Preliminary loading schedules put the country's crude export at 2.07 million barrels per day (bpd) of crude oil in November, down slightly from about 2.13 million bpd in October. A total of 70 full or part cargoes of the nation's crude oil were expected to load in November, down from 76 cargoes in October, trade sources said, quoting preliminary loading schedules. The source also stated that Bonny Light output would average 285,000 bpd in November, up from 245,000 bpd planned in October and below 130,000 bpd earlier this year, due to repairs to sabotage oil facilities in the Niger Delta region. Bonny Light production peaked at nearly 500,000 bpd in 2005, when it accounted for nearly a fifth of the total crude output as production of the gasoline-rich crude has long been hampered by militant sabotage of pipelines and platforms in the Delta region. Nigerian crude exports have risen fairly steadily this year from between 1.90 million and 1.95 million bpd in the first four months to an average of more than 2.10 million so far in the second half of the year. This puts Nigeria well above its agreed production target of 1.67 million bpd as a member of the Organisation of the Petroleum Exporting Countries (OPEC), a target it has exceeded since February 2009, according to data. The increase in Qua Iboe exports is a sign that production of the country's benchmark grade has recovered after the setback mid this year. Meanwhile, former BP Plc's Chief Executive Officer, Browne, is leading a group of bidders for $4 billion worth of Nigerian oil fields being offered for sale by Royal Dutch Shell Plc. Shell recently launched a shake-up of its Nigerian operations by offering oil fields for sale in apparent response to Federal Government's plans to pass the Petroleum Reform Bill (PIB), which seeks to impose harsher terms on International Oil Companies (IOCs). Sunday Times reported yesterday that the oil giant was about to sell four oil fields and that Riverstone Management Limited, which was registered in England and Wales, was leading a consortium of investment firms, KKR and Blackstone Group to acquire the assets. It also identified other interested bidders to include Nigeria's Oando Plc; Perenco SA; and Addax and Oryx Group Ltd.However, according to the Joint Operating Agreement (JOA) between Shell and its partners - Italy's Eni and France's Total - the partners have the right of first refusal to buy Shell's 30 per cent interest in the fields. The JOA also provides that the Nigerian National Petroleum Corporation (NNPC), which holds 55 per cent majority stake in the fields, must approve the deal. The Federal Government guidelines also require that for any bidder to be successful, it must have a Nigerian as a local partner. The decision by the government to implement an industry reform and abrogate the Petroleum Act of 1960, under which it granted licences to the IOCs, apparently pitched the multinationals against the government. The IOCs were further miffed when most of the licences expired and the Federal Government insisted on driving a hard bargain on renewal negotiations. Chinese National Offshore Oil Corporation (CNOOC) recently offered $50 billion for some of the country's crude oil reserves, most of which were still controlled by joint ventures between the NNPC and the multinationals. Oil Companies Reducing Investment in Nigeria? 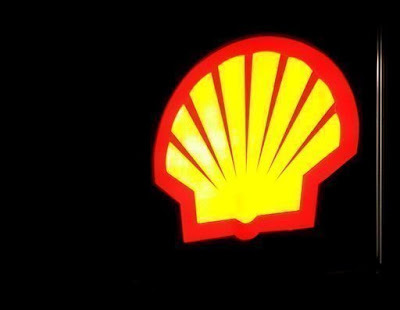 Analysts said with Shell's new projects in the United States' Gulf of Mexico and Qatar near completion and the company's souring relations with the Federal Government as a result of some controversial provisions in the PIB, the new chief executive of the oil giant, Mr. Peter Voser, was keen on reducing the company's reliance on Nigeria. The company is also being confronted with many legal actions over environmental pollution and sabotage of pipelines by host communities, resulting in spilling oil into the environment. Shell's decision to sell some Nigerian assets was part of a company-wide shake-up.Since he assumed duties in July last year, Voser had "made 15,000 workers reapply for their jobs, re-entered Iraq and put a handful of European refineries up for sale". The Country Chairman and Managing Director, Shell Nigeria, Mr. Mutiu Sunmonu, noted that SPDC, the oldest energy company in Nigeria, had developed a "long term and continuing commitment to the country, its people and the economy", generating billions of dollars to help fund development and growth. Abuja — Former chief executive officer of British Petroleum John Browne is to lead a group of bidders for $4 billion of Nigerian oil fields being sold by Royal Dutch Shell Plc, a report published by the Sunday Times stated yesterday. Shell's plan to reduce its investments in Nigeria has been described by some industry watchers as a reaction to the hassles in Nigeria's exploration terrain. "Browne's Riverstone Management Ltd. is interested in bidding, as is KKR & Co. and Blackstone Group LP," the report said. "Another bid group includes Perenco SA, Addax & Oryx Group Ltd. and Oando Plc," the report added. Any bidder will have to have a local partner to meet government requirements, it said. The report further said that partners ENI SpA and Total SA have the right to buy Shell's 30 per cent stake in the fields, and Nigeria's majority holding national oil company (NNPC) must approve any deal. LEADERSHIP reported last week that Africa-focused oil and gas company, Afren Plc., said its Nigerian unit had agreed to buy a stake in oil fields in Nigeria from Royal Dutch Shell Plc, Total SA and Eni SPA. First Hydrocarbon Nigeria Co. Ltd., in which Afren has a 45 per cent stake, agreed to buy a 45 per cent stake in OML 26 in Delta State for $187.5 million, which includes the cost of the acquisition and First Hydrocarbon Nigeria's share of planned development. According to Afren, "OML 26 contains two producing fields and three undeveloped assets. The area contains recoverable reserves and contingent resources of 184 million barrels of oil and could contain another 615 million barrels of oil equivalent resources." Africa-focused oil and gas company Afren PLC (AFR.LN) Thursday said its Nigerian unit agreed to buy a stake in oil fields in Nigeria from Royal Dutch Shell PLC (RDSA.LN), Total SA (FP.FR) and Eni S.p.A. (ENI.MI). First Hydrocarbon Nigeria Co. Ltd., in which Afren has a 45% stake, agreed to buy a 45% stake in OML 26 in the Delta State for $187.5 million, which includes the cost of the acquisition and First Hydrocarbon Nigeria's share of planned development. OML 26 contains two producing fields and three undeveloped assets, Afren said. The area contains recoverable reserves and contingent resources of 184 million barrels of oil and could contain another 615 million barrels of oil equivalent resources, Afren said. OML 26 currently produces 5,000 barrels of oil a day but First Hydrocarbon Nigeria intends to raise production to 40,000 barrels a day over four years, Afren said. First Hydrocarbon Nigeria agreed a $130 million credit facility with BNP Paribas to provide funding for the deal, Afren said. Ethanol is supposed to be a clean bio-fuel that helps reduce our dependence on foreign oil. It's primarily produced from domestically grown corn. So why is it so controversial? When the U.S. Environmental Protection Agency announced earlier this month that refiners could begin to sell gasoline with a 15-percent ethanol content, so called "E15," it raised outcry from a whole host of special-interest groups. Environmentalists objected. Oil companies complained. Gas station owners howled. Classic car owners moaned. Motorist groups whined. Even boat owners grumbled. First, let's figure out what this fuel additive means for motorists. Currently, cars are designed to use gasoline with an ethanol content of 10 percent. After testing gasoline with a 15-percent ethanol blend, the EPA has concluded that it won't hurt vehicles built in 2007 or later. The agency took this action because Congress wants to expand the nation's use of ethanol and other bio-fuels. Later this year, the EPA will decide whether E15 is safe for vehicles built from 2001 through 2006. But the agency's two-step approval process is causing lots of heartburn. The EPA will require gas stations to slap labels on gas pumps that dispense E15 fuel. But retailers and environmentalists fear motorists might get confused if they have a choice of two different ethanol blends. If the owner of an older car uses the wrong fuel, the vehicle's catalytic converter might be damaged. That's because ethanol blends burn hotter than pure gasoline. Vehicles built in 2007 or later have an oxygen sensor that adjusts the combustion and protects the catalyst. Not so with older cars. A car with a damaged catalytic converter can be a serious polluter, says Sasha Lyutse, a New York-based policy analyst for the Natural Resources Defense Council. "People are worried that you could have serious problems," she says. "I am quite skeptical of the EPA's ability to implement this system at the pump." Gas station owners aren't happy either. The angry owner of a damaged car might well sue the retailer, warns Jeff Lenard, spokesman for the National Association of Convenience Stores, whose members sell 80 percent of the nation's gasoline. "Do retailers have the stomach for the potential risk?" Lenard asks. "A lot of questions have to be answered before a retailer is going to sell E15. Nothing is going to happen overnight." There are other problems. Vehicles built in 2007 or later account for just 18 percent of the nation's total vehicle population. If a gas station wants to serve everybody – not just owners of new cars – it would have to install new pumps and new underground fuel tanks, Lenard says. Pumps cost about $18,000 to $20,000 apiece, while underground storage tanks can cost anywhere from $20,000 in a rural area to a whopping $250,000 in cities like San Francisco. Then there's the tricky issue of fuel economy. Because ethanol is less energy dense than gasoline, pure gasoline delivers about 3 percent better fuel economy than an E15 blend, Lenard says. Since the EPA isn't requiring retailers to use the new blend, one might expect gas stations to take a pass on E15. But ethanol is a bit cheaper than pure gasoline, so retailers can cut the price of a gallon of fuel by a few pennies. If a competitor down the road uses E15 to cut prices, that would be a powerful incentive for retailers to stock it, says Lenard. "People might step over a penny on the pavement on the way to the pump, but they'll drive miles out of their way to save a few cents per gallon," he notes. Other organizations have commented on the issue. The American Automobile Association, the nation's largest motorist organization, issued a statement warning against possible damage to older cars. The Alliance of Automobile Manufacturers, which represents automakers, did so too. In its statement, the alliance noted that automakers must "harden" the fuel systems of vehicles to run on fuel blends with a high ethanol content. But ethanol can corrode the engine seals and fuel lines of vehicles that haven't been upgraded. And it's not just older cars that are affected. The EPA warns against the use of E15 fuel in motorcycles, school buses, delivery trucks, snowmobiles, lawn mowers, chain saws and boats. Which is why the National Marine Manufacturers Association was feeling cranky enough to complain about possible damage to boat engines. If environmentalists, automakers, oil companies and gas station owners all are worried about E15 fuel, why is the EPA moving ahead? In 2007, Congress passed the Energy Independence and Security Act, which mandates the nationwide consumption of 36 billion gallons of renewable fuel by 2022. Since the nation's motorists used only nine billion gallons in 2008, we've got a long way to go. But why was the agency in such a rush to okay E15's use in new vehicles before tests on older vehicles are complete? The New York Times hinted at the answer Thursday when it noted that nine Democratic congressmen in ethanol-producing states face tough re-election bids in November. This is a make-or-break issue for voters in corn states like Iowa, whose livelihoods are tied to the industry. Environmentalists favor the production of ethanol from substances like switch grass, which causes less environmental damage than corn. But don't hold your breath, said the NRDC's Lyutse. "Corn ethanol has been getting [government] subsidies for more than 30 years," she said. "This is one more decision that supports corn ethanol at the expense of cleaner biofuels." Abuja — The massive oil bunkering currently going on in the Niger Delta region is perpetrated not by the Movement for the Emancipation of the Niger Delta [MEND] or other militant groups but by "criminals" who are not in any way related to the militants' struggle in the region, President Goodluck Jonathan said in Abuja yesterday. It was the second time this month that he was exonerating the militants in his native Niger Delta region of blame for major crimes. Speaking at the opening of the 16th edition of the Nigeria Economic Summit, Jonathan said the current wave of kidnappings and car bombings in the country is not linked to the Niger-Delta agitation but is an organised crime perpetrated by dissidents. The summit is jointly organised by the Nigerian Economic Summit Group (NESG) and the National Planning Commission (NPC) and was broadcast live by CNBC Africa television network. The president said, "Government is strengthening the security agencies to meet up with the security challenges and I can assure you that in the next 12 months, we will be in a position to curtail the excesses." He also said the militants are defending the interest of the region because they felt that they are not having enough share of the resources taken from their communities, while the bunkerers are criminals who are after money. "What is happening now is excessive bunkering and has nothing to do with the Niger Delta. They are criminals and they are not protecting any community", Jonathan said. He said selfish individuals hijacked the struggle of the militants for criminal activities. "What is happening now is commercial and because it involves money those involved in it would not stop," he said. According to the President, the recent car bombing in Abuja that killed over 10 persons had nothing to do with the Niger Delta. He said that while the amnesty programme initiated last year by the late President Umaru Musa Yar'adua for the militants to curb their excesses is on still on course, it faces some challenges that the government is trying to tackle. "We have some challenges on amnesty, we are working on that. The amnesty is not perfect but we would reach where we want to go." The umbrella body of the militants' group, the Movement for the Emancipation of the Niger Delta (MEND) has said it was behind the Abuja car bombings that happened during Nigeria's 50th independence anniversary celebration on October 1. President Jonathan said MEND did not do it, but that some terrorists outside the country did it. Leader of MEND Henry Okah has been linked to the bombing and he is currently in a South African jail. His young brother has also been arrested. President Jonathan said that overall, security is a challenge and that government is setting up a special fund to fund the police to fight crime. "In the next 12 months we will be in a position to curtail that," he said. He also said Nigeria needs a revolutionary leader to move the nation forward, where everyone would do what is right. He said while it is the responsibility of the President to select competent individuals to head various institutions in the country, their jobs are not directly executed by the President. "Mr. President is not the police officer but Mr. President should be able to monitor the police and if he is not doing well, he should ask him to go," he said. He said the notion of Nigeria being the most corrupt country in the world would wither away in the next five years. VIENNA -(Dow Jones)- Nigeria "will not do anything to disrupt the stability of world markets," the country's oil minister said Thursday at the conference of the Organization of Petroleum Exporting Countries. Diezani Alison-Madueke's comments suggest Nigeria won't seek a higher quota despite previous statements that the country wanted a bigger share of OPEC production. She also said that both the coming marginal oil licensing rounds and a new energy bill would happen before the end of the year. "The marginal oil licensing rounds will happen, yes, before the end of the year," she said. "The petroleum industry bill, which has the gas masterplan entrenched within it...will happen well before the end of the year." The bill is expected to bring major changes to Nigeria's energy sector, including a shift towards natural gas from oil production. Her comments on market stability came in response to expectations that Nigeria might request OPEC raise the level of its output quota, which now stands at 1.9 million barrels a day. 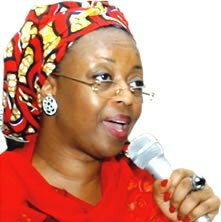 "Nigeria will work within the holistic parameters of the OPEC considerations," she said. "The market is very stable at the moment, it has been for some time, and we will do nothing to disrupt that stability." She also said she was "very hopeful" that market stability would continue long into 2011. She said Nigeria and other OPEC members were very comfortable with current market conditions, adding weight to the view that OPEC would roll over its current output target. Alison-Madueke said in September that she would seek a higher production level for her country, where a phase of recent attacks on crude oil facilities has abated, allowing more output. Nigerian media mogul Raymond Dokpesi has lodged a lawsuit against the secret police over his arrest in connection with the Independence Day Abuja bombings. Mr Dokpesi, election campaign chief to a rival of the president in elections due next year, wants 100m naira ($660,000; £410,000) in damages. He was one of nine people arrested in Nigeria over the twin car-bombings which killed at least 12 people. He says the arrest was "malicious". Mr Dokpesi was freed at least nine hours after being detained on 4 October - three days after the bombing. He owns the Africa Independent Television network, one of Nigeria's biggest, and is running the campaign of former military ruler Gen Ibrahim Babangida. 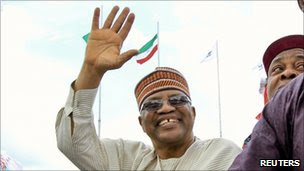 Gen Babangida is challenging President Goodluck Jonathan for the right to become Nigeria's governing party's presidential candidate. On Monday, another candidate for the People's Democratic Party nomination - the former Vice-President Atiku Abubakar - called for an international inquiry into the 1 October bombings to ensure the investigations were not manipulated for political reasons. When Mr Dokpesi was arrested, officials said he had exchanged text messages with the alleged mastermind of the bombing, Henry Okah, who has been charged with terrorism offences in South Africa, where he is based. 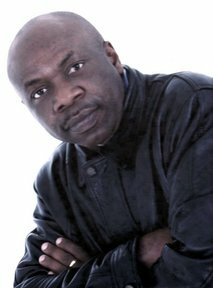 Mr Okah is a former leader of the Movement for the Emancipation of the Niger Delta (Mend), which is fighting for more control of Nigeria's oil wealth for residents of the oil-producing Delta region. He has denied any links to the blasts, but an e-mail purportedly sent by Mend said it had carried out the attacks. If confirmed, this would be the first time Nigeria's oil militants have struck in the capital. Mr Okah is believed to lead a militant Mend faction opposed to a government amnesty. Most Mend commanders have joined the amnesty, set up to end years of unrest in the region which cut Nigeria's oil output by up to 20%. While Mend says it is a political group, many criminal gangs also operate in the region, stealing oil and kidnapping people for ransom. The Edo State governor has challenged Chartered Accountants in the country to investigate the activities of the Nigerian National Petroleum Corporation (NNPC) to find out the country's benchmark of fuel production and the level of supposed subsidy claimed to have been provided. Comrade Adams Oshiomhole made the remarks yesterday in Abuja at the opening ceremony of the 40th Annual Accountants' Conference with the theme: "Nigeria at 50: Economic Development and socio-political stability." The governor said that the accountants must ask the question for the sake of the poor, adding that people must resist practices that make other people poorer in the name of subsidy. He said: "As professional accountants, you cannot afford to sit on the fence without asking probing questions on ways and manner nation's resources are being managed by people entrusted with them." He blamed the management of NNPC for shrouding its affairs in secrecy. "Nigerians do not know how much crude oil the country produces because we don't have the mechanism to monitor what we produce. NNPC is extremely economical with the truth. If you have no control of transparency in a sector that produces 80 per cent of your revenue, then corruption cannot be ruled out," he said. He said NNPC has become so powerful that it deducted any amount realised from crude oil sales and handed what it felt like handing to the Federation Account without anyone raising question. VIENNA — OPEC looked set Wednesday to keep oil production levels steady while the outlook for prices appeared uncertain against a backdrop of a fragile economic recovery and falling dollar. "Yes, there is a consensus between members," Ecuadorian minister Wilson Pastor-Morris -- who is president this year of the Organization of Petroleum Exporting Countries -- told reporters on the eve of a ministerial meeting at the body's Vienna headquarters. "We are happy with current prices ... (we are) not worried about oil rising above 80 dollars a barrel," Pastor-Morris said. Other OPEC ministers arriving in Austrian capital also suggested the cartel would hold its official output quota at 24.84 million barrels a day, with the focus of the meeting shifting to an improvement in compliance instead. With prices almost trebling from lows of around 30 dollars a barrel at the height of the financial crisis in late 2008, members have been producing above their set quotas to boost revenues. Ahead of Thursday's meeting and mindful that a spike in prices could harm global economic recovery, OPEC kingpin Saudi Arabia said it was happy for crude to stay at 70-80 dollars, where it has traded for much of the past year. However, Algeria and Libya have said in recent days that they would like to see crude at 90-100 dollars as OPEC -- which pumps 40 percent of the world's oil -- seeks to ramp up investment in energy infrastructure. Oil prices rallied on Wednesday, trading above 84 dollars in London on the back of a weak dollar, strong Chinese crude imports data and ahead of OPEC's first meeting in seven months, traders said. "The quotas will be maintained (on Thursday). No changes are foreseen," Ecuador's Pastor-Morris said, predicting that prices would "hold steady" going forward. Analysts said prices have found support in recent months from a struggling dollar, which can make dollar-denominated crude oil cheaper for buyers holding other currencies such as the euro. OPEC members claim that current prices reflect market fundamentals of supply and demand. "Whilst OPEC may be broadly happy with the oil price now, so as not to damage the fragile recovery, this is unlikely to hold once oil demand starts to pick up," said Rebecca Seabury, an analyst at UK energy consultancy Inenco. "As demand increases they will use restricted investment in new production fields (resulting from) ... the low price as a reason to justify rapid price increases." Although global demand for oil is already rising surprisingly fast, the price is set for a 75-80 dollar range despite talk of 100 dollars a barrel, the IEA said on Wednesday. The International Energy Agency, representing leading oil consumer nations, revised up its demand forecast for oil, by more than OPEC had done on Tuesday, mainly because of an economic upturn in industrialised countries. But it hedged its forecast with "great uncertainties," and noted signals from OPEC that its meeting on Thursday would freeze production quotas and focus instead on overproduction. Crude oil prices tumbled from historic highs of more than 147 dollars in July 2008 to about 32 dollars in December of that year in response to the global recession but have since clawed back on economic recovery hopes. OPEC remains a key influence on oil markets 50 years after its birth, with non-OPEC output set to fall and consumers continuing to burn massive amounts of fossil fuels despite higher demand for renewable energy. It comprises 12 members -- Algeria, Angola, Ecuador, Iran, Iraq, Kuwait, Libya, Nigeria, Qatar, Saudi Arabia, the United Arab Emirates and Venezuela. Iraq is the only member without a production quota owing to the country's unrest. The oil ministry of Iraq has boosted its estimate of the country's oil reserves by almost a quarter, reinforcing the battered nation's enormous potential to help meet expanding global energy needs. Hussain al Shahristani, the oil minister, said Iraq had 143.1 billion barrels of proved reserves, up from the previous estimate of 115 billion barrels. He said the new figure reflected reserves that could be exploited with technology currently available in the country. "Iraq will officially inform OPEC … in order for these new reserves to be recognised internationally," Dr al Shahristani said yesterday in Baghdad. Further Iraqi reserves additions were likely as the ministry was pressing ahead with exploration initiatives launched two years ago, he added. By comparison the UAE has 97.8 billion barrels of proved reserves. The re-assessment of Iraq's most important natural resource is psychologically important for the country, which faces vast logistic, security and financial challenges as it seeks to rebuild after years of conflict. The government hopes to raise oil production capacity almost fivefold within six years. If accepted by supranational agencies such as OPEC, the new data would re-establish Iraq as having the world's third-largest oil reserves. It lost that status last year after OPEC officially recognised more than 100 billion barrels of Venezuelan ultra-heavy crude as "proved reserves". It could also establish Iraq as richer in oil than Iran, which is OPEC's second-biggest oil exporter. That is vital for Iraq as a founding member of OPEC and a country likely to depend on oil exports for almost all government revenue for years to come. Currently, Iraq is the only OPEC member without a production quota. But already it is looking towards the day when it will again be bound by an OPEC quota, the size of which would reflect the country's crude reserves and production capacity. Iraq pumps about 2.4 million barrels per day (bpd) of crude but is seeking to raise that to as much as 12 million bpd. LAGOS, Nigeria – South African authorities have arrested an ex-leader of a militant group that claimed responsibility for a dual car bombing that killed 12 people in Nigeria, a Nigerian secret police spokeswoman said Saturday. The arrest of Henry Okah, a former leader of the Movement for the Emancipation of the Niger Delta, came as Nigeria's secretive State Security Service acknowledged it received a warning about the impending attack long before the bombs exploded Friday. Nonetheless, the militant group was still able to detonate the explosives only a 10-minute walk away from a ceremony in Nigeria's capital Abuja attended by the president and other dignitaries in the oil-rich nation. "Unfortunately, there's no way security can be 100 percent foolproof," State Security Service spokeswoman Marilyn Ogar told The Associated Press. "We are happy all the same that the event went on smoothly and it wasn't interrupted." Ogar said a "foreign partner" provided her agency with information of an impending attack on the 50th anniversary celebrations. That information apparently involved Okah, a former militant leader who left Nigeria for Johannesburg after being released from prison in July 2009 while facing treason and gun running charges. A day before the bombings, security agencies in South Africa raided Okah's home and seized a laptop, though they did not arrest him, the militant group previously said. The Movement for the Emancipation of the Niger Delta, also known by the acronym MEND, issued a warning to journalists about an hour before the attacks Friday, telling people to stay away from festivities at Eagle Square in Abuja. It blamed Nigeria's government for doing nothing to end the unceasing poverty in the delta as the nation receives billions of dollars from oil revenue. In a statement Saturday night to the AP, MEND said it "deeply regrets the avoidable loss of lives." It also said Nigerian authorities "were given five days prior notice" to the attack. The group did not explain how officials received that notice. "Okah has never been involved in any MEND operations but has always been blamed for every attack which is strange to us," the MEND statement read. Saturday, Nigeria's President Goodluck Jonathan visited a hospital where doctors cared for some of those injured in the blasts. Jonathan, who himself is from the oil-rich and restive southern delta, told gathered reporters that he went to school only a few kilometers (miles) away from where Royal Dutch Shell PLC drilled the nation's first oil well. He criticized the bombers for using the struggles of his homeland to "camouflage criminality." "This is the first time somebody from the Niger Delta has the opportunity to be president of this country. ... You have your own here, you should have hope," Jonathan said. "Good things don't happen overnight." Jonathan also acknowledged that there were "security lapses" that allowed the bombing, but declined to offer any specific plan to overhaul security agencies in the nation of 150 million people. 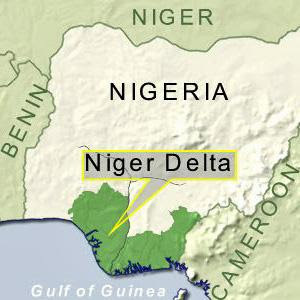 Nigeria, which is vying with Angola to be Africa's top supplier of crude oil, is a major supplier to the U.S. Violence in the delta can increase global oil prices drastically.